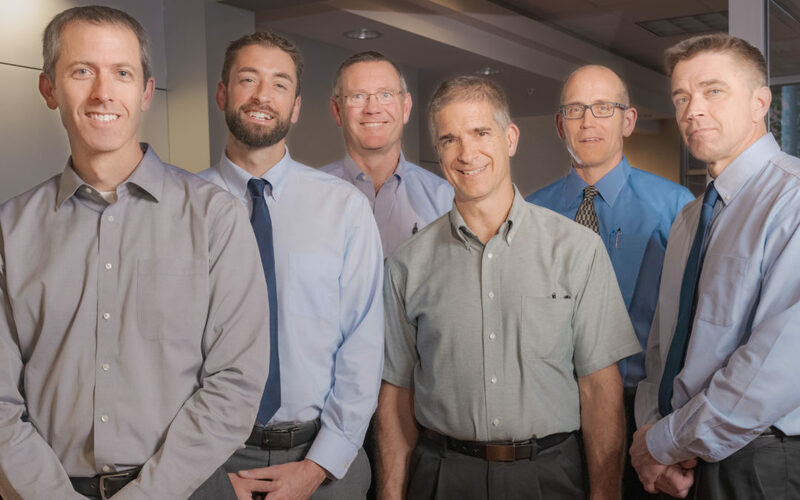 At Stevens Point Orthopedics, our Physicians are some of the best at what they do. Our team is filled with caring individuals who love discovering the root of a patient’s problem and helping them get back to peak performance. Dr. Haemmerle is originally from Menomonie, Wisconsin and attended Marquette University for his B.S. in Human Biology and Masters of Physical Therapy. He attended Medical School at the University of Pittsburgh and completed his Orthopedic Residency at William Beaumont Hospital in Royal Oak, Michigan. Dr. Haemmerle is the father of three sons and enjoys running, hiking, and playing baseball and other sports with his boys. Dr. Banovetz’s family has lived in Wisconsin since before the Civil War, though he was born in Minneapolis and raised in DeKalb, Illinois. He is the father of three and has one grandson. Dr. Banovetz most enjoys the fantastic people at Stevens Point Orthopedic, including partners, staff and patients. “I like having the time and the freedom to do whatever is best for my patients, instead of what is best for some big hospital corporation,” he says. Dr. Williams attended College at the of Wisconsin School of Medicine and Public Health. His residency in Orthopedic Surgery was at the University of Iowa Hospitals and Clinics. Dr. Williams has over 25 years experience and is board certified in Orthopaedic Surgery. An avid biker and “morning person,” Dr. Williams loves Stephens Point and all of the opportunities in the area to pursue outdoor activities in his spare time.